I have a miniature donkey and his front hooves have been turning up for the past month. Is this from being foundered or because our conditions are so dry? He has never been this way since my becoming the owner in Oct.2005. It sounds to me like you need someone knowledgeable to trim your donkey. Hooves that turn up like that need to be carefully trimmed by someone knowledgeable on natural hoof care. Usually NOT a farrier that doesn't understand what the hoof is doing inside. I am an equine massage therapist working in Australia and have recently been asked to massage a warmblood x arabian yearling which has extremely high and contracted heels. He is already about 15.2hh and is expected to mature to 17hh. The barefoot trimmer asked to have this horse massaged in case there was some muscle condition that was contributing to the problem. I found that while there was muscle imbalance, most likely due to inefficiencies in the stay apparatus, there was nothing severe enough that would make me feel it was strongly influencing the hoof balance. The yearling was very flexible, athletic, not lame and seemed healthy in all other respects. There may be some issues with overfeeding and possibly a genetic predisposition to short check ligaments in combination with a recent growth spurt that may be contributing to his condition. He has just recently been put on a regular barefoot trimming program as the owner was not initially aware of the problem. It is unclear if this issue was always there or his hoof form has changed dramatically in the last few months only. The hoof angle is approaching 90 degrees and the pastern alignment is very close to that. He must be standing on the very tip of his pedal bone and was tender footed after very conservative trimming. * Have you had any experience with management of horses with this sort of issues, or any experience with horses that have had check ligament desotomy? * Are you aware of the impacts this surgery can have on the horses soundness, etc. and the limitations for the future of the horse based on this? * Do you have any great reservations about using it as a method for managing this condition. * I have read that there is potential for a mechanical founder by attempts to lower the heels where the check ligament is involved. What are your feelings on this? Certainly regular trimming should be done in any case, however attempts to lower the heels concern me if this is a risk. At this time, I believe he will benefit from reducing high carb and protein foods so he avoids any further large growth spurts, has regular hoof grooming (fortnightly) and a veterinary inspection involving radiographs etc. with a thorough reappraisal of his situation every 3 months or so. Not having any direct experience with this sort of thing before, if you could provide me with any feedback on this issue it would be greatly appreciated. The owner is keen to pursue as many natural avenues of treatment/management as possible and is not keen on surgical intervention at this time. Have you seen Chrisann Ware's site Equithy? She is a massage person and has some articles you would like! I think you're correct in saying the stay apparatus is involved. In fact, the high heeled scenario inhibits this function so badly for some horses that they simply lay down more since they can't "rest" on their feet. 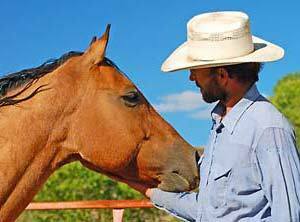 Now's your chance to learn more about Laminitis. TheHorse.com and its sponsors will present a live educational Webinar on Wednesday, May 23, at 1p.m. EDT, on "Understanding Laminitis." This FREE hourlong educational event will feature Rustin Moore, DVM, MS, PhD, Dipl. ACVS, and Jim Belknap, DVM, MS, PhD, Dipl. ACVS, of The Ohio State University. Both have spent a large portion of their careers researching and treating horses with laminitis, and they offer special insight on this problem that crosses all breeds, disciplines, ages, and sexes of horses. Question. I am trimming a very skinny 30 year old QH (former polo pony). The owner neglected his care "for quite a while". With my encouragement she did get his teeth done. One was sticking out, into his cheek! I am no expert in the area but I knew that wasn't right! The vets told her to stop feeding hay as he might choke on it (although he has never choked before) and start loading him up on chopped up alfalfa, molasses and soaked Alfalfa cubes... free choice. Also to feed Purina senior which is also loaded with molasses. Just off the top, this doesn't sound like a great idea but I am no expert, especially with these older horses. So I told her that you were our only hope for insight into this issue. He is turned out with his 25 year old QH mare friend in a decent sized pasture. Our spring grass is just starting to peak through the ground. I honestly don't know if he can graze and if he gets any nutrition from it. Even those old horses like some fiber to chew on, even if they end up spitting it out. There are grass-based pellets available now, so you don't have to feed all that excess alfalfa. I'd say some alfalfa would be OK to help keep weight up. Nature would likely have taken that horse by now, so going to some extra attention and effort to feed processed things helps them keep going those few extra days/years. Like you, I don't think all that molasses is a good idea... at all. I have a mini and he is having a hard time with his legs and feet. I had the same farrier for 4 years and the past 6 months or so he hasn't been doing a good job. I had the vet out to take a look at both of my minis hoofs and right away she said get a new farrier. I did and she is great. But I do believe that maybe she has been taking too much off at once. Now the little guy is having trouble standing for long periods of time. He lays down a lot, still eating and drinking though. I have had the vet out 3 times now. We took x-rays and his coffin bone is rotated a little bit. But before I got him he did founder. Now they are saying he has laminitis we wrapped his front feet and put down some foam too under the wrapping. He is on bute and doxycycline. I also went to the feet store today and got some numotizine and put that on his hoofs and the pads of his feet wrapped baby huggies on his feet and duck taped them. Should I also rub this stuff on his legs too? I only did the front feet. My vet told me that the back legs and hoofs don't work as well doing this. But it seems to me that the back legs are hurting him more. Should I do the same to the backs also? And rub this on his legs too? How long does something like this take to go away? I do have to say he is a bit better but not 100% yet. He is still laying down a lot. He stayed in the barn for a few days and now he is coming out and laying outside in the sunshine. If you could let me know what you think. Mini horses that develop laminitis/founder are usually quite overweight, so getting this under control is very important. Small changes made to their hooves offer BIG changes to the way they feel. Diet should be scrutinized and should consist of grass-based forage. There are a ton of websites out there that you can read up on laminitis and treatment/trimming, and you'll want to follow a barefoot program to avoid further damage from shoes or glue on things. Do a computer search for "laminitis barefoot" and you'll be reading a long time. I wouldn't use the numotizine. The antibiotics are generally not a good idea either, unless you're dealing with some other infection somewhere. The bute is generally only a bandaid as well. Correct trimming and using little boots/booties offer the best relief. Certainly there is no reason to be overly worried. Laminitis and founder is simple to treat once you learn the basics. since Sept 2006 and is in the transition period. Prior to the set up trim the diet, exercise, and turnout was the same. But 5 months into the trim the white line is separated and one point actually looked frilly. He is not metabolic and the horses not receiving the trim have no separation in the same living conditions. Would it be safe to say that the trimmer is not doing a good job or is it too early in the transition period to change? The feet look worse from the white line point of view, but remain concave and the wall integrity is thicker. transition should be? How can you rule out metabolic issues or mechanical laminitis from the wear and tear of a horse going barefoot that has never been barefoot in its life? I'd say you'd have to give it at least a year, maybe two years before you could be satisfied the walls weren't going to stop separating. The "trim" is not important in the big scheme of things. If your trimmer is having to do very much trimming at all, the horse is not moving enough/not getting enough natural exfoliation. Keep a close eye out for infection. Something tells me you very well could have some in hooves like you describe. You might not see it unless you really get picky and check it out. I have been an avid follower of natural horse care protocol for 7 years and have had my own hobby farm for 6 years. We have a 100% natural horse ecosystem for 3 horses. My problem is that we have a 25 year old mare who had a bowed tendon about 8 years ago and we followed traditional methods of healing her (stall rest approx. 6 months and all the "usual stuff"). She has apparently re-bowed the same leg. I can't envision doing the same thing this time around. Is there a more natural way of dealing with the problem and still keeping her out 24/7 etc? She has been retired except for the odd ride. She's always been 100% sound even at this age. Leave her out and have no fear, she'll still be able to defend herself, and she won't "self-destruct" by any means. I've left horses with broken legs turned out just like the tendon injuries and other problems and they heal better and faster than any confinement technique out there. It's all in tune with the nature of the horse.